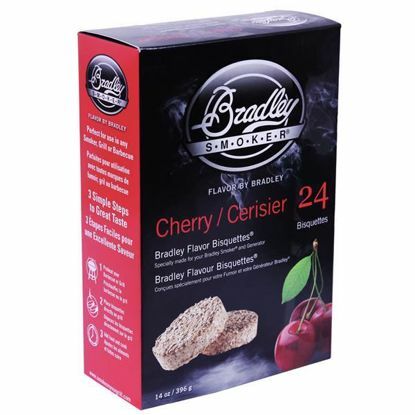 Bradley Smoker makes it simple to create gourmet quality smoked food at home. 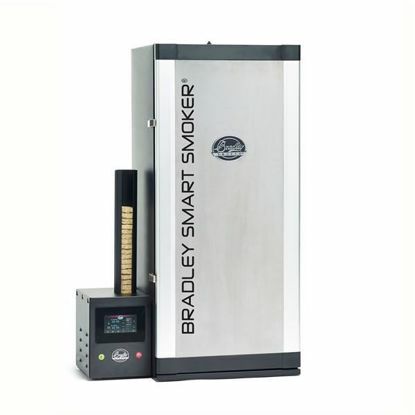 The Bradley Smart Smoker is an improved automatic electric smoker, which is the result of years of advancement and testing on existing smokers. It features innovative iSmoke Technology, enabling you to connect to and control the smoker from Bluetooth-enabled smartphones and tablets in real-time. Another improvement is its larger capacity smokehouse, with room for 10 racks of food. 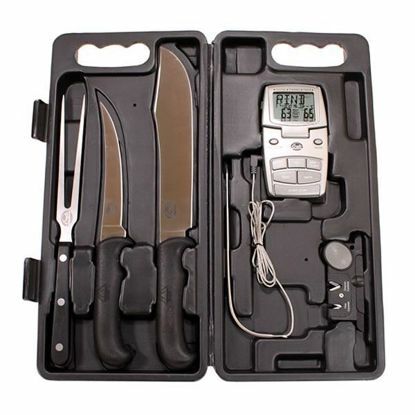 Two removable, color-coded temperature probes allow you measure heat in different areas of the smokehouse simultaneously, for advanced monitoring. It comes with 4 adjustable feet, 2 optional wheels and a recipe booklet. 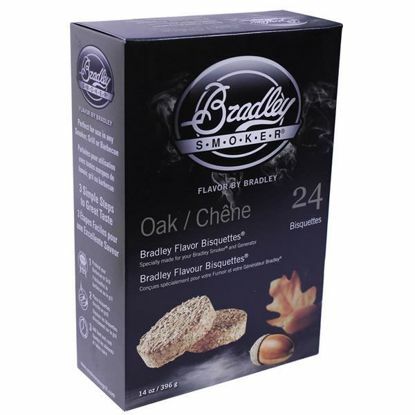 The secret to the Bradley Smoker are the Bradley smoker Bisquettes. To produce the bisquettes, hardwood smoker chips are bound together using precise quantities, at controlled pressures and densities. 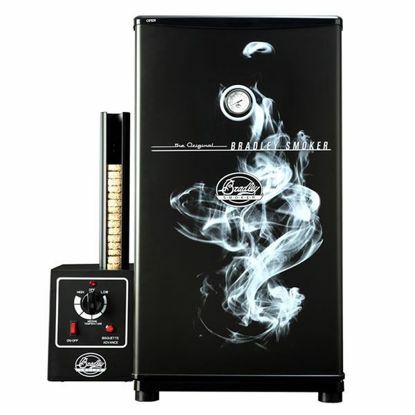 The flavor of the smoke is determined by the variety of smoker wood being burned. 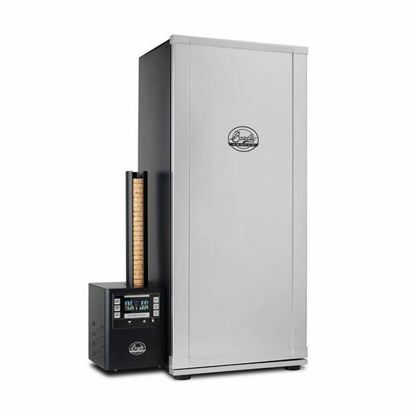 When smoker wood burns, the smoke flavor is produced in the initial minutes of the burn. Wood smoking chips or sawdust, burnt for too long, impart a distinct after-taste to smoked food. The flavor would also be affected by fluctuating high temperatures, gases and resins. 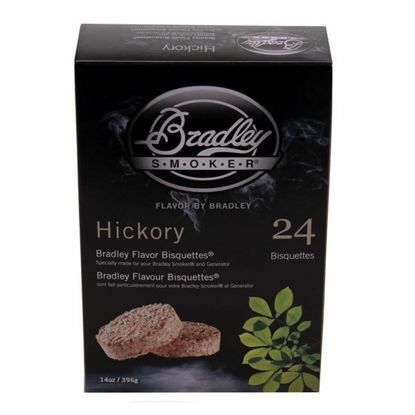 However, with the Bradley flavor Bisquettes, you get perfect results every time you smoke. A popular wood for smoking and considered by many to be the best wood for pork. Hickory's strong flavor can be toned down by mixing with oak flavor bisquettes. Hickory's full rich flavor is excellent for any meat. Nothing says Texas like mesquite cooked beef brisket. Mesquite is the most popular wood use in southern barbecue. 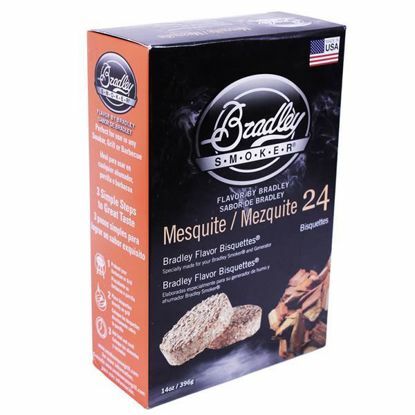 Mesquite has a strong and hearty smoke flavor which complements beef, venison, wild game but can also be used with fish, pork and poultry. The most versatile wood of them all is Oak. It’s mild smoke flavor, and little to no aftertaste makes Oak blend well with most meats, and gives off a beautiful smoked color. It can also be used to tone down hickory or mesquite. Oak Flavor Bisquettes especially pair well with poultry, beef, pork, lamb, and game. The Bradley Sausage hooks are heavy duty chrome plated steel, perfect for hanging sausages, fish, ribs or hams in your Bradley Smoker. 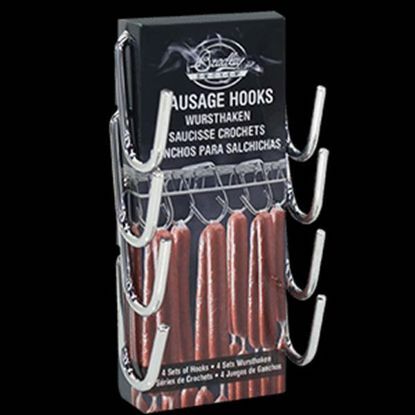 4 hooks are included in each package. 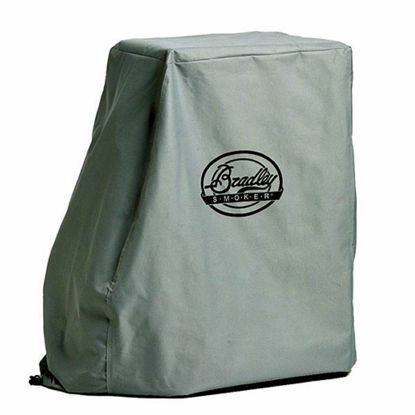 Make your Bradley Smokers even more versatile with this set of 4 jerky cooking racks. 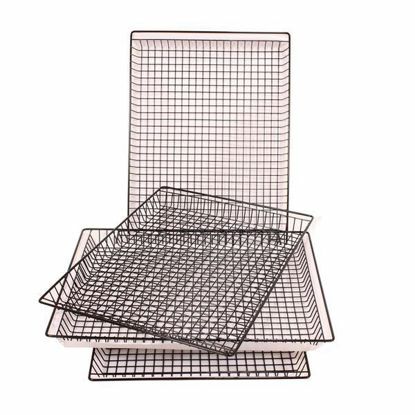 The Teflon coating and smaller mesh openings of these racks give you the ability to smoke beef jerky, oysters, almonds, and anything else that might slip through the spaces of a standard size rack. 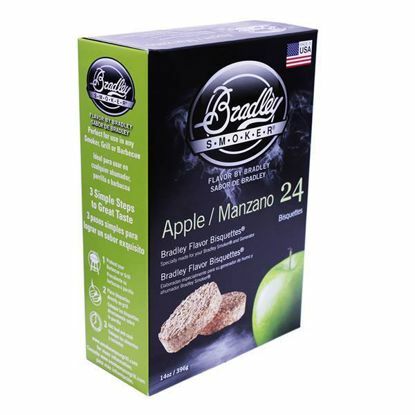 Compatible with all Bradley Smokers. 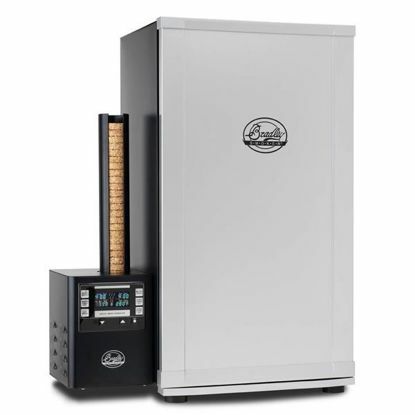 The ability to smoke, cold smoke or roast any meat to perfection is what sets these digital smokers apart from all others.